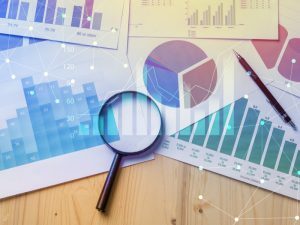 Navigant Research continues to doggedly track down just how many microgrids there are worldwide, recently bringing its database up to 2,258 projects. The Microgrid Deployment Tracker 4Q18 also found that planned and installed microgrid capacity is 19,575.0 MW. Utility microgrids account of 40 percent of new capacity, the largest single addition followed by remote microgrids which contributed another 34 percent. North America leads the microgrid market in terms of total capacity, followed by Asia Pacific and the Middle East & Africa, according to Navigant. In all, Navigant added 241 more microgrid projects to its tracker for a total of 1,239.1 MW. An free executive summary is available here. And there may be more microgrids to count in Southeast Asia soon thanks to a newly announced consortium out of Singapore called CleanGrid Partners. The group, which includes an investment arm of Tokyo Electric Power Company PowerGrid, plans to infuse $60 million into microgrids as part of a Southeast Asia electrification plan. Others participating in CleanGrid Partners are Singapore-based developer WEnergy Global and consulting firm ICMG Partners. The group will finance and operate the microgrids, starting with $20 million for short term deployment. The partnership hopes to build and manage a portfolio of electrification projects valued at about $100 million within three to four years. WEnergy Global, one of the principal shareholders of the new company, has already initiated a microgrid project in Palawan in the Philippines, which it plans to replicate as part of the electrification program. Several other projects in the Philippines, Indonesia and Myanmar are also in the pipeline for the group. Local utility Consolidated Edison had argued that the airport’s 5-MW community solar project is not eligible for ‘value stacked compensation’ — a new approach in New York that replaces net metering. The tariff is an attempt to place a more precise value on distributed energy. It takes into account where and when the power serves the grid, the wholesale price of energy, and distributed energy benefits, such as carbon reductions and cost savings. The utility said the project was not eligible because the airport also has 5 MW of self-generated solar. Together, the two projects equal 10 MW which exceeds a 5 MW cap for value stacked compensation, the utility argued. Con Edison warned the commission that allowing the airport to receive the compensation would defy the tariff’s intent to boost small distributed energy projects. Big projects could simply split themselves into multiple smaller projects and claim they are eligible. However, the commission disagreed and sided with the New York Port Authority and the New York Power Authority, which are developing the community solar project. Ruling in favor of the airport, the commission said that the self-generation project is entirely separate from the community solar and in fact does not even inject power into the grid. So they are not one project split into two, but two projects at the same location, making the community solar project sized right for the tariff. The JFK airport is also developing a microgrid but the solar facilities are not part of it, according to a NYPA spokeswoman. 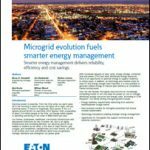 Tracks news about microgrids and distributed energy resources by subscribing to the free Microgrid Knowledge newsletter. What’s Driving Microgrids toward a $30.9B Market?